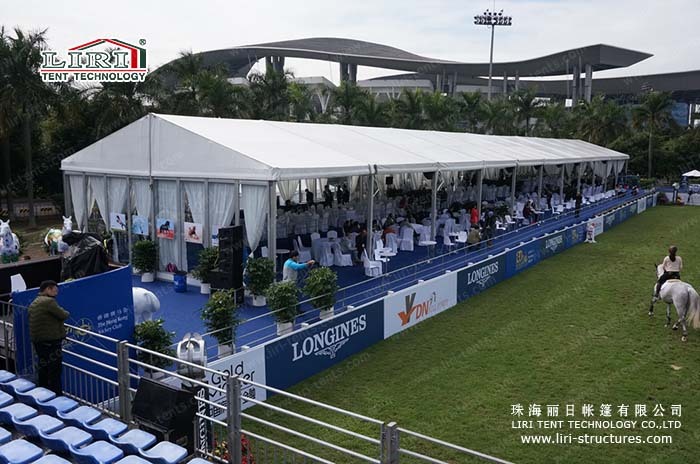 This Tents are widely used for all kinds of events, such as the party, outdoor exhibition, outdoor weeding, trade fair, celebration, sports event, military solution, temporary warehouse and workshop. 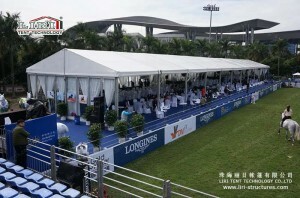 The Event Tent clear-span width is 15m, but we have many width for your option, pls check the below chart. The length of ET15 could be 20m,25m 30m and +5m more based on your land space. Frame use hard pressed extruded aluminium 6061 /T6(13HW). flame retardant to DIN4102 B1,M2,U V resistant. The maximum allowed wind speed is 100KM/h. PVC-clear window,rain gutters, decoration ceilings and inside curtain. 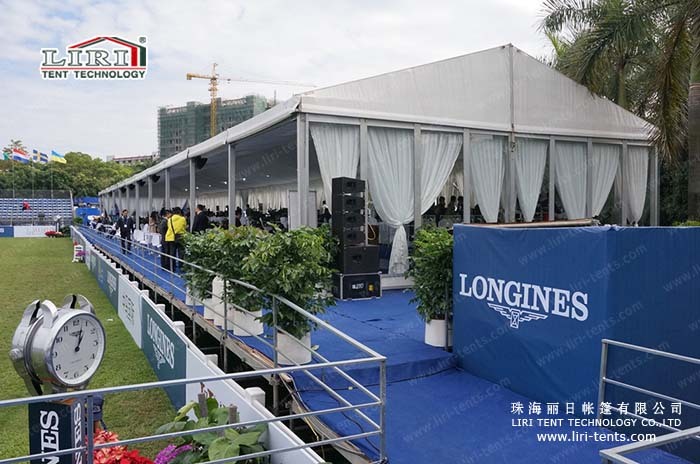 1) The first tent manufacturer in China—focus on tent industry for 17 years. 2) The largest tent manufacturer in China which covers 30, 000sqm and includs 20, 000sqm building area.